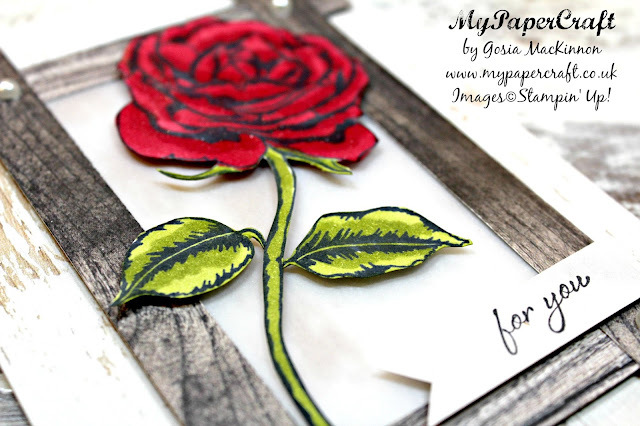 Hello and welcome to my MyPaperCraft blog. 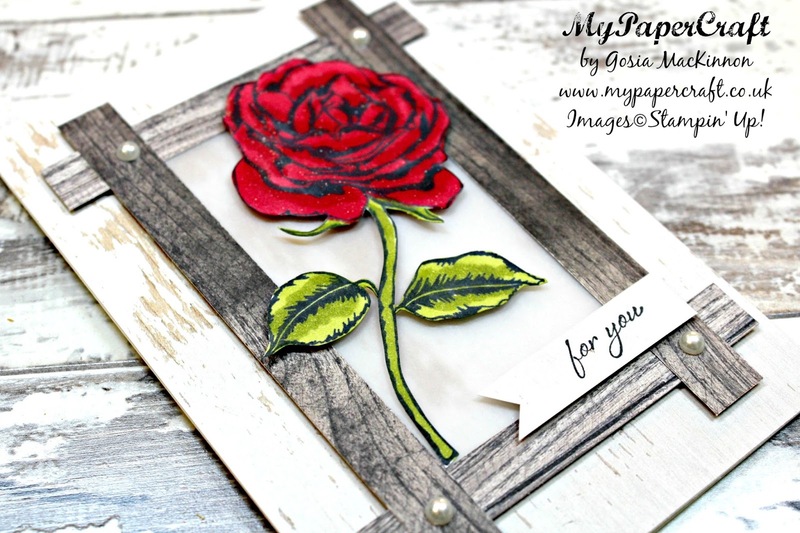 I love the beautiful Graceful Garden stamp set and the Wood Textures DSP so today I decided to make a simple, quick and easy card For You. CARD BASE - Whisper White Thick A4 Cardstock cut in half 5-7/8'' x 8-1/4'' (15 x 21cm) score and fold in half. I stamp the beautiful rose on Whisper White Thick Cardstock using Memento Tuxedo black in which is suitable for Stampin' Blends alcohol markers: Cherry Cobbler light & dark and Old Olive light & dark then fussy cut it out. To add some shimmer to the Rose I used Wink of Stella Glitter Brush. 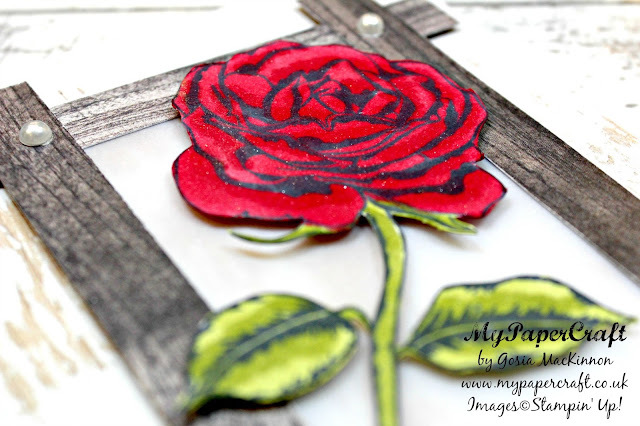 T give some dimensions to the card I used Stampin' Dimentionals under the frame as well as under the rose. If Your order is £150+, please do not use the Hostess Code as You become the Hostess and you get the Rewards! Learn more HERE.